This infographic shows the top ten time killers that waste our time, and while some are very obvious, such as emails and web surfing, some will surprise you. Learning to improve your time management makes good business sense. Find out which type of procrastinator you are and discover ways in which you can change the way you work. It’s important to identify the problem and then take steps to conquer those time wasting habits! Time is one of our most valuable resources, and you cannot buy, borrow or steal more of it. Almost every part of our lives depends on how we use it. Check out this infographic to find ways to manage this precious commodity. 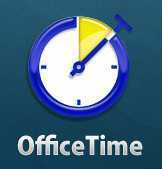 OfficeTime knows more than most when it comes to time wasting! Learn to track your working day by either writing everything down in a notebook, or use OfficeTime’s easy-to-use app available for the PC, Mac and iPhone/iPad.